All of our teachers have successfully completed the Music Together® and/or Canta y Baila Conmigo's training program, demonstrating the ability to sing in tune with accurate rhythm and lead a group. Teachers attend ongoing skill development workshops throughout the year. We love to sing, dance, and make music...and we love children! Diana Davidson, a life-long singer and dancer, holds a M.Ed. from the University of Virginia in Curriculum and Instructional Design and a B.A from the University of California, Los Angeles in World Arts and Cultures. Diana served as a bilingual and Spanish Immersion elementary school teacher for 10 years in San Diego, Salinas, and Arlington, VA. She has many years of experience working with children ages 0-10 in areas of art, music, fitness,and dance. Diana successfully completed the Music Together Teaching Workshop developed by the Center for Music and Young Children, Princeton, New Jersey in Alexandria, Virginia in 2007 and her Music Together Certification Level 1 in 2013. She is also a certified Canta y Baila Conmigo® teacher (Spanish Language and Music Program). 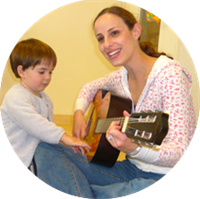 Diana is the music and movement specialist at Bill and Sid Rubin Preschool and she teacher Music Together Preschool classes at Green Beans Preschool in Mission Hills. Diana is the proud mom of two singing dancing daughters (ages 9 and 4). Diana is CPR and First Aid certified. of San Diego with Songbirds Music! Deirdre in three words: Creative, passionate, fun! 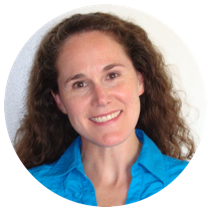 Melissa is a California native who studied urban planning, psychology, and Italian at UCSD. While attending school, she took gospel choir as an elective and it remains a highlight of her undergraduate education. Her love of music and movement as a form of language and expression led her to the Songbirds’ nest. She completed the Music Together teacher training in the fall of 2017 and apprenticed with Ms. Diana during the Fall 2018 and Winter 2019 Music Together Sessions. Melissa has been a Music Together parent for the past three years and attends classes with her daughter. She recently began learning the ukelele and loves to play the piano. When she’s not dancing and making music with her family, Melissa can be found at the library, at the park, or in the kitchen. She looks forward to singing and dancing with you and your family!